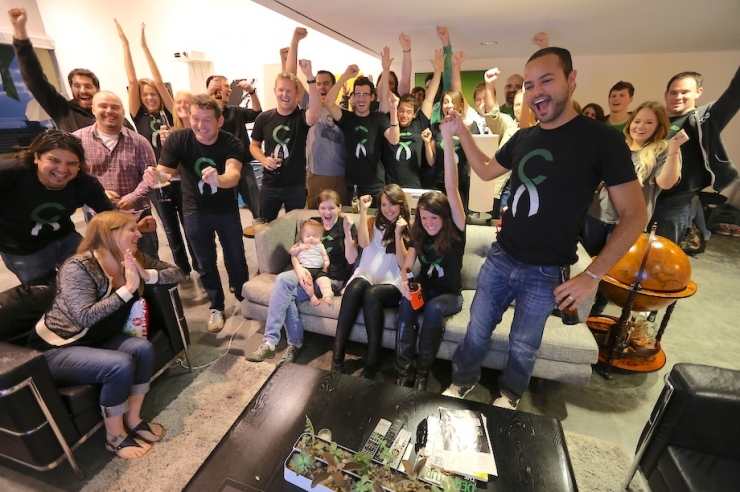 Community is a pretty big deal around here. 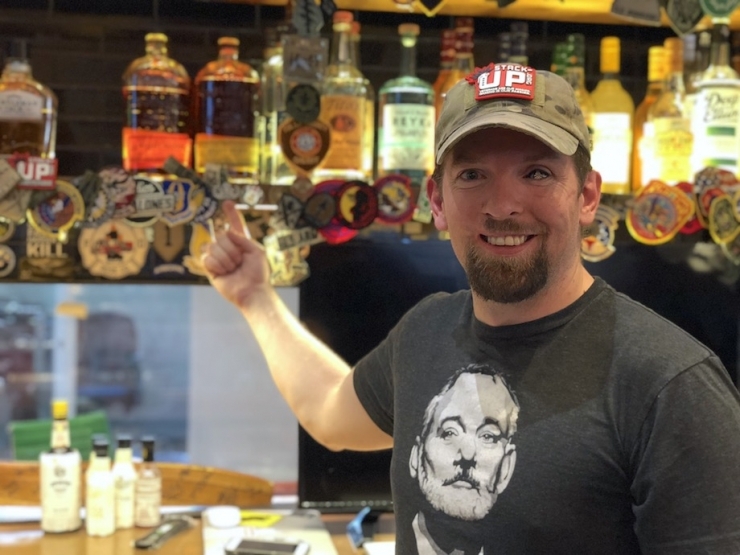 It’s a big deal for everyone, actually, not just Chivers, because having a squad/tribe/crew/whatever-you-like-to-call-it isn’t just more fun on a Saturday night, it’s good for your health. Science! Veterans from every generation know this all too well. 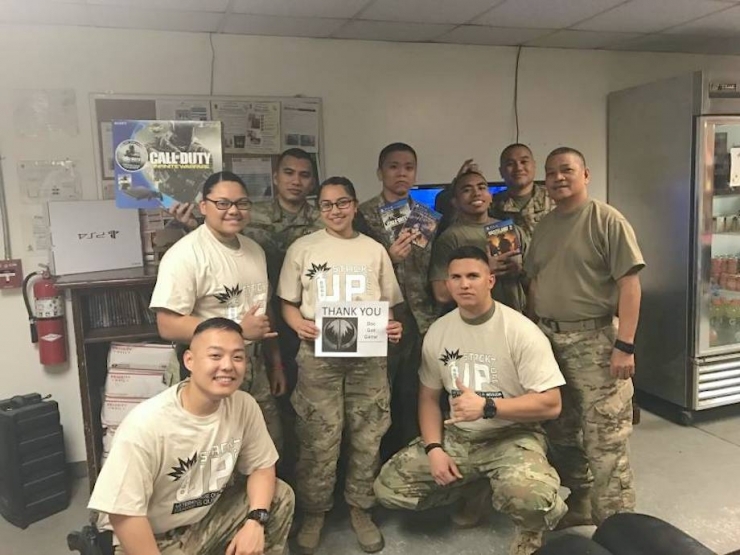 Leaving the military and starting fresh in a world very different from the one they knew before is hard, sometimes harder than combat, but connecting with people who really get it can help. 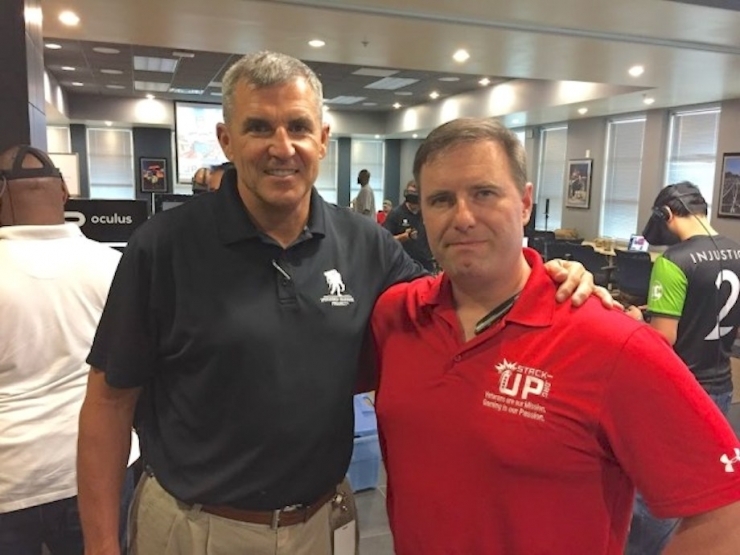 Captain Stephen Machuga, U.S. Army (RET) agrees. 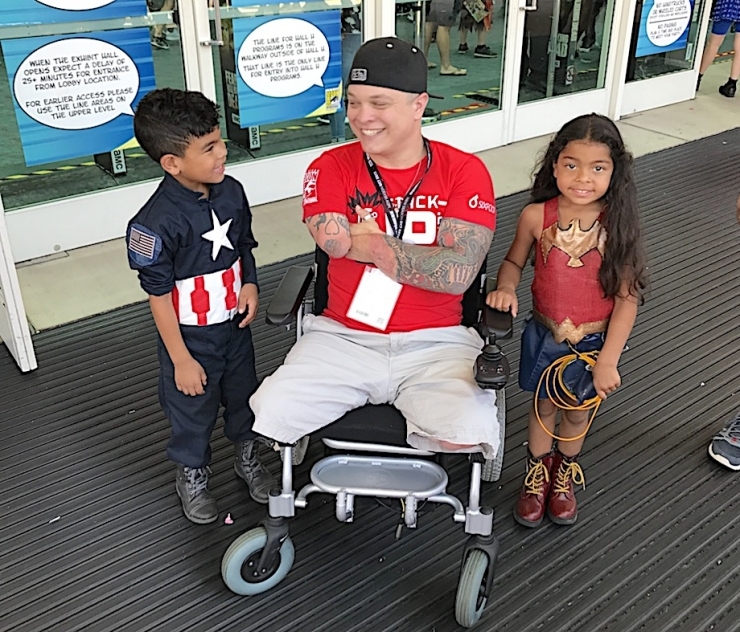 When he left the military in 2006, getting back into daily civilian life was a struggle. Fortunately for Machuga, help wasn’t far away. 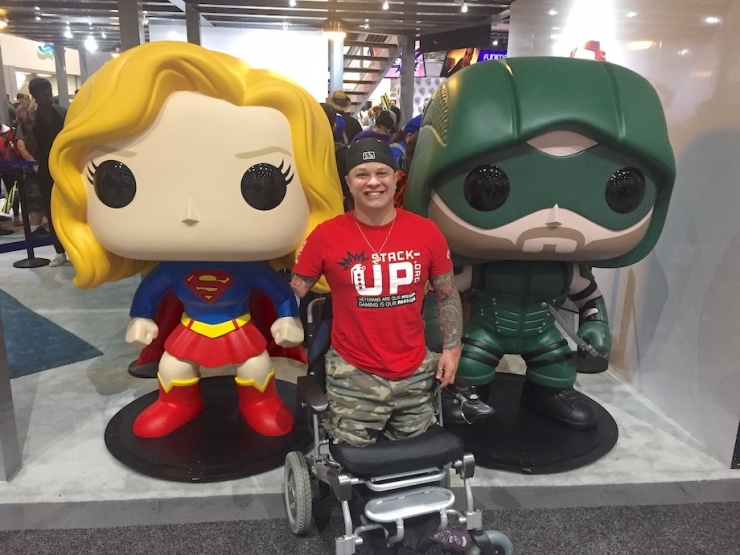 In 2015, he channeled that relief into Stack Up, a nonprofit that helps veterans and active duty military find their own healing through gaming. 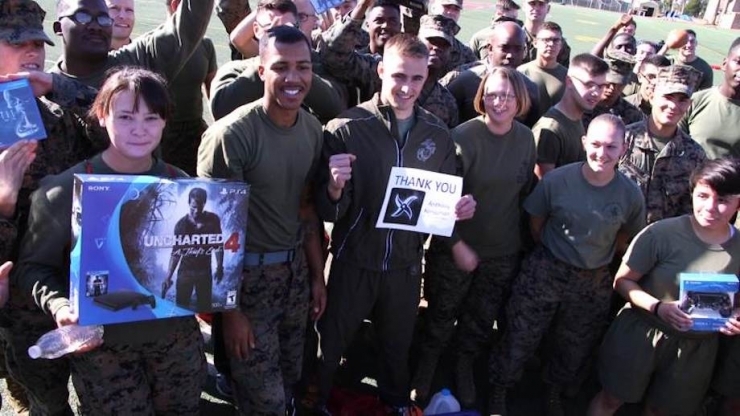 Their programs send gaming systems to deployed service members, organize veteran gamers into communities to build relationships and networks for long-term success, actively address veteran suicide, and give veterans and service members the gamer experience of a lifetime with trips to Comic-Con, Electronic Entertainment Expo, and Austin’s own South By Southwest (SXSW) to name a few. 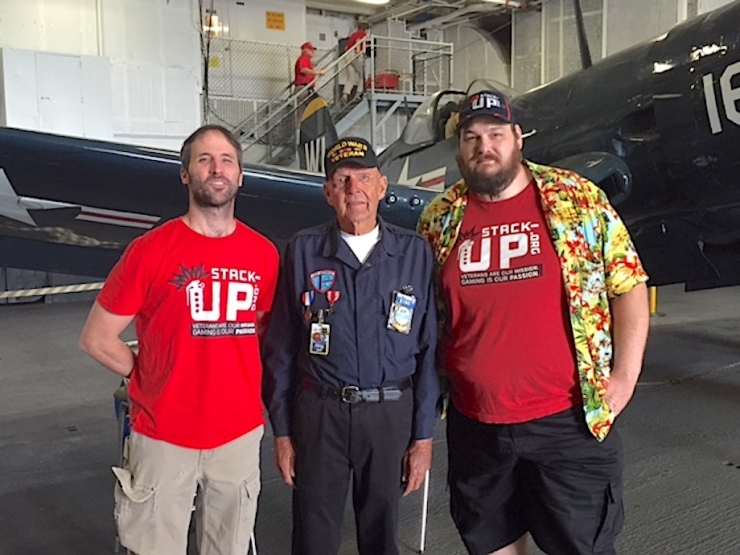 Which happens to be how we really got to know the Stack Up Team and four absolutely badass American heroes. 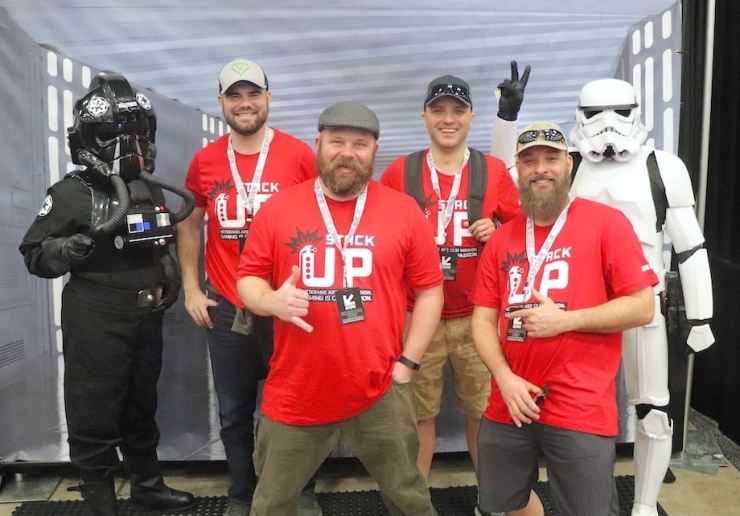 Earlier this year, Stack Up reached out for a grant to bring their latest cohort of veteran gamers – a.k.a. 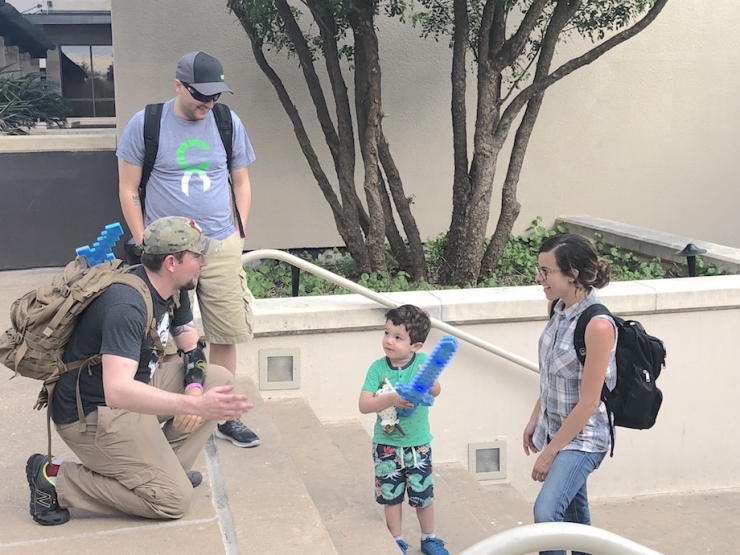 “Air Assaults” – to Austin for SXSW, and because we believe 100% in the power of positive, meaningful experiences, we were all in. Meet Nathan, Keland, Joe, and Ben. 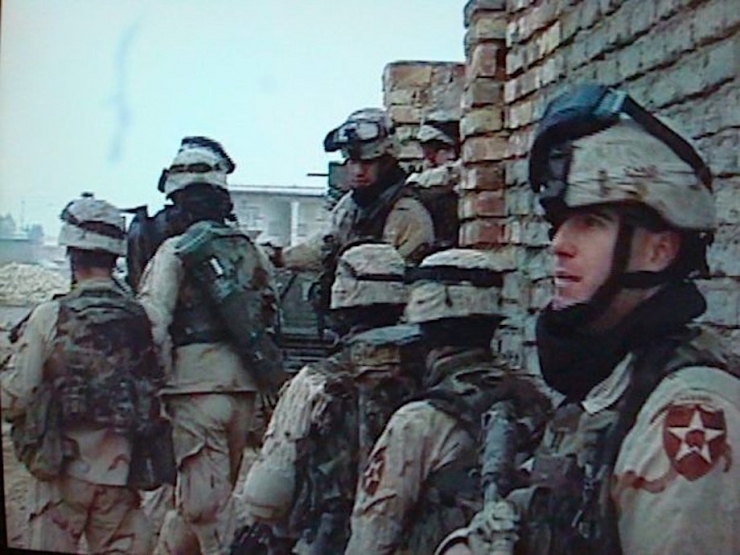 Once brave warriors defending our country, they didn’t even flinch when they came face to face with the Imperial Army. 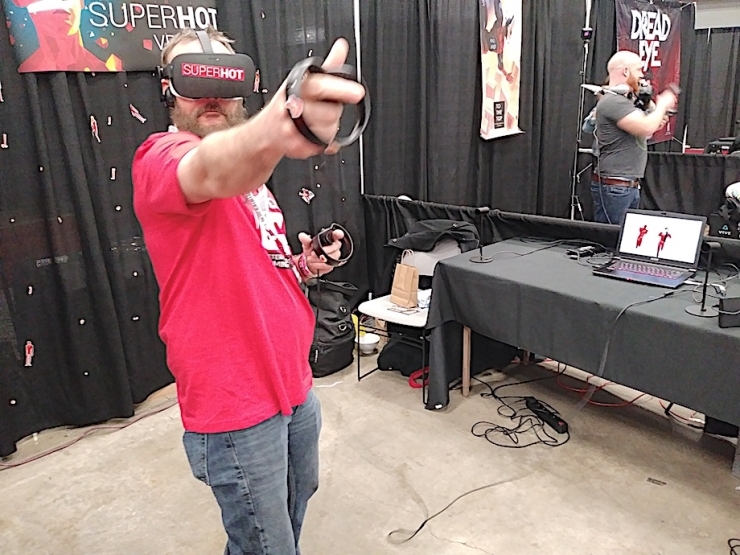 Over the course of their long SXSW weekend, they tried out the latest in gaming technology, including this VR experience with a name far more scandalous than the game itself. 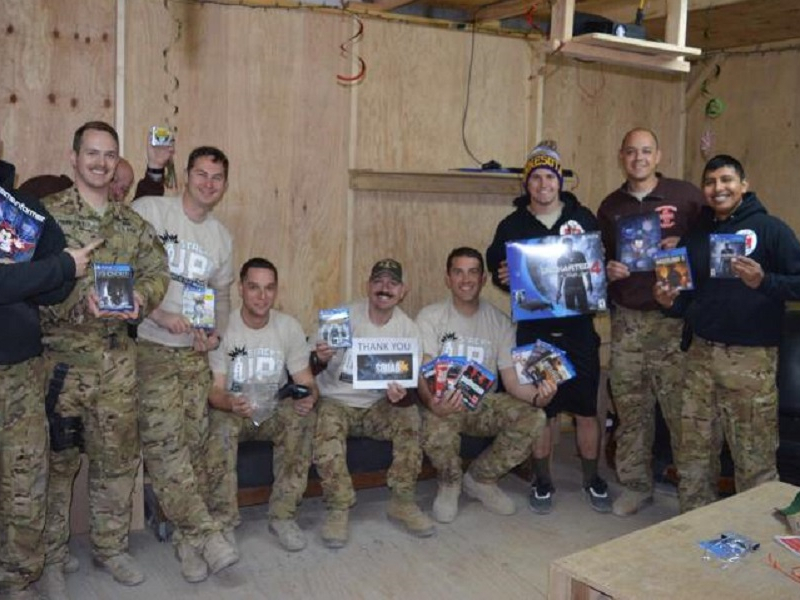 And gave some away to little heroes-in-the-making. 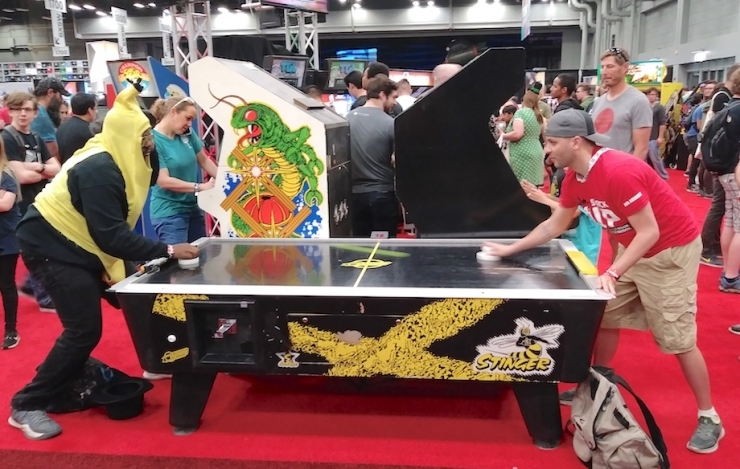 They even went old school in this air hockey face-off with a giant banana. 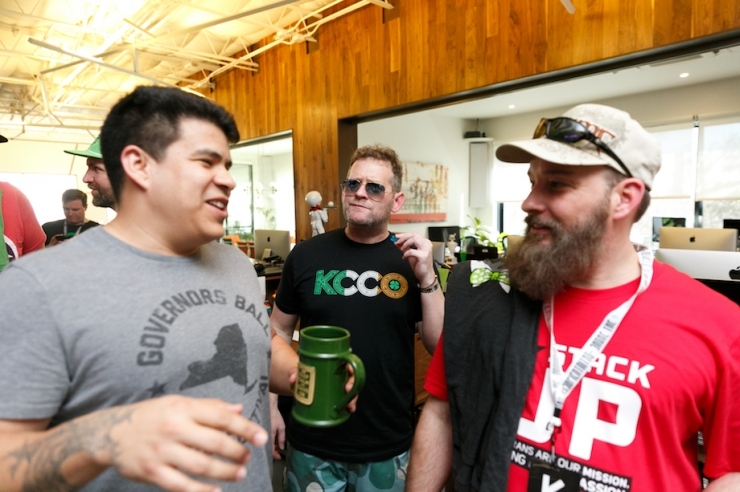 We may be a little biased, but their stop at theCHIVE HQ was probably the best part of the trip. And not for the reasons you may be thinking. 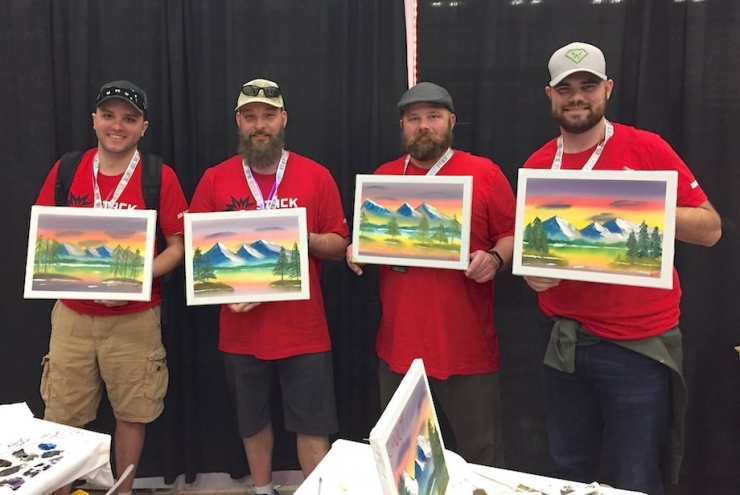 The place was hoppin’ – it was a Friday afternoon during the city’s biggest convention, after all. 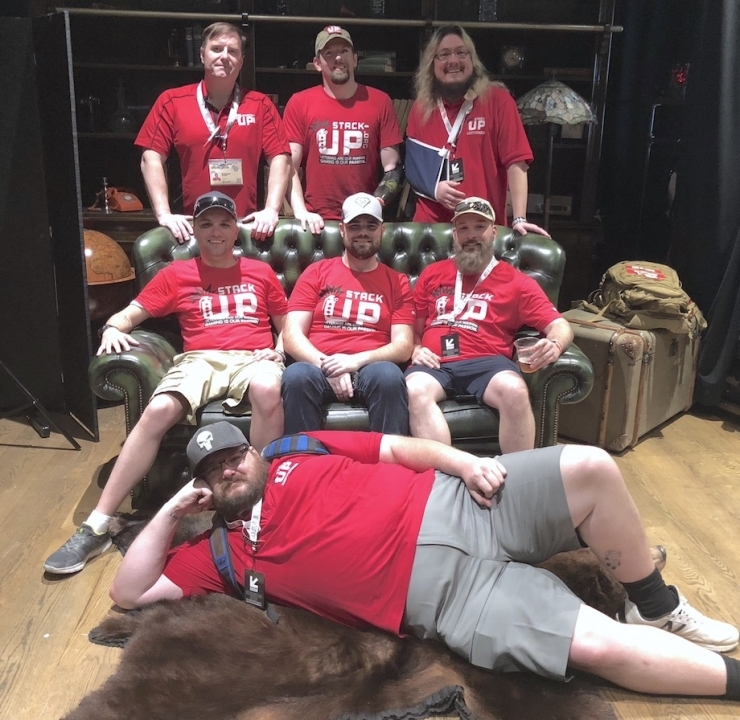 But our top priority was to make the Stack Up crew feel as comfortable here as we do, and it didn’t take long for them to fit right in. There’s always room for a few more. And they look really good in green. 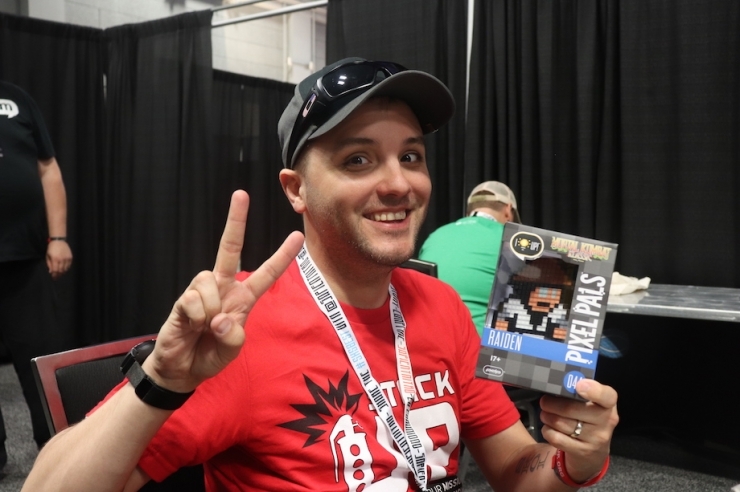 Welcoming them into our little community was truly a privilege, and we hope they’ll stop by again real soon. 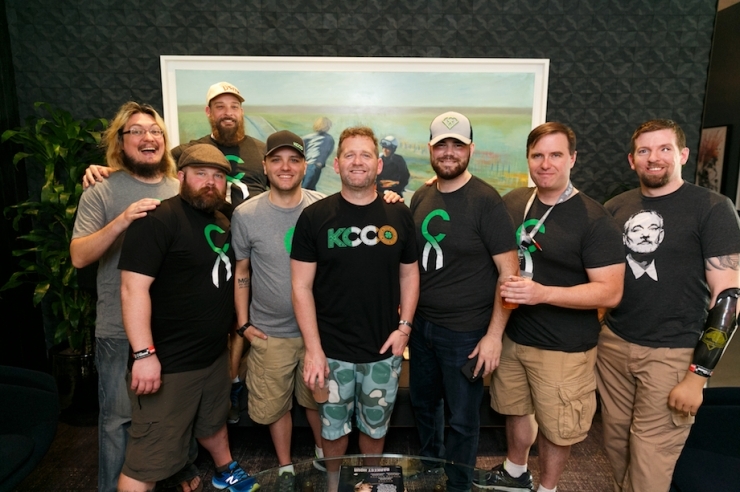 Veterans deserve the same selfless support they pledge to us when they step up to serve, and Chive Charities is proud to do our part. Four more lives were changed with this $25,000 grant, but there are many more that need our help. 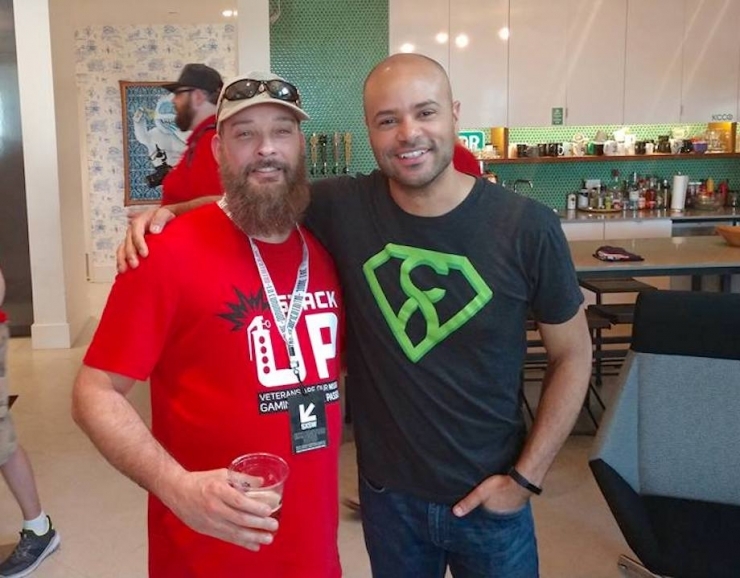 Become a monthly Chive Charities donor to support veterans like these right HERE.